Endless prairies are just like a chest with treasures. Maybe you are the one destined to find all the golden nuggets hidden beneath solid rocks. But do not get overwhelmed! 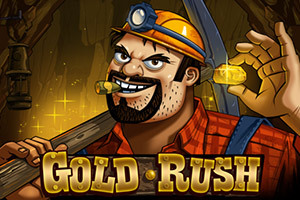 You surely do not want to catch a Gold Rush, do you? Fix your flashlight and let’s dig in! 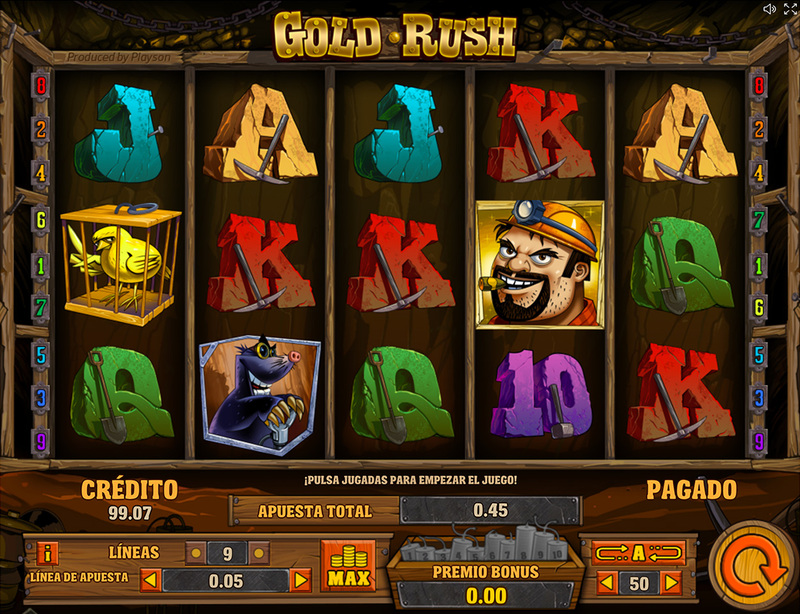 The Wild symbol in the game substitutes all symbols except the Wagon symbol and the TNT symbol, expands on the whole reel and increases the game jackpot according to the formula 1.35* Bet. Wagon symbol, which appears only on the first reel triggers Click-me-Bonus Game with the guaranteed prize. It suggests you choose one of the wagons which carry silver, gold or diamonds. A wagon with silver gives a bonus of 4* Bet, a wagon with gold gives a bonus of 7* Bet and a wagon with diamonds gives a bonus of 12* Bet.